Next year is Sheep year in oriental zodiac. 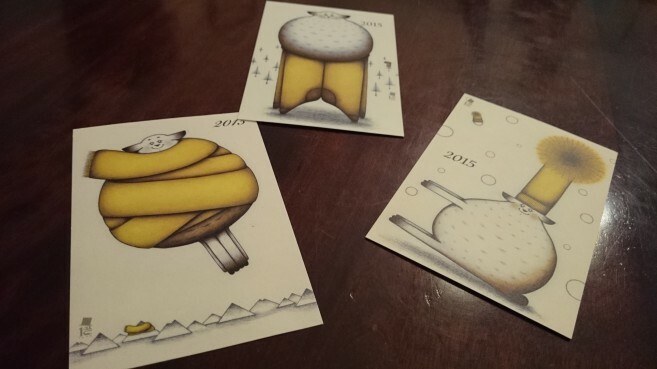 New year card of iguden 2015 has just appeared! You can choice from 3 variety of cards. Please have fun with these sheeps from igu's world. For further details, please feel free to contact us. 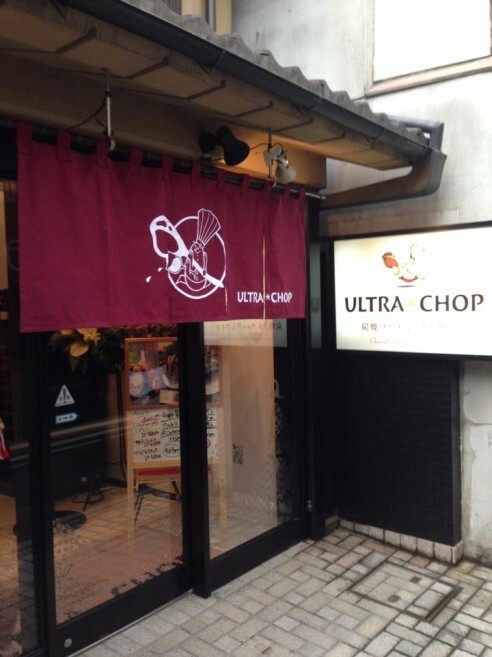 We have the opportunity to create Japanese traditional shop curtain with Mr.Chop who is created by igu for Wine bar Ultra Chop. You can see it at Ponto-cho, that is historical district in Kyoto. 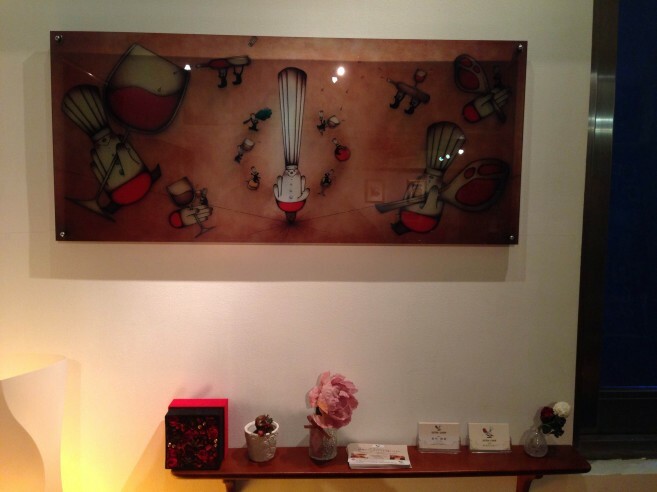 Mr.Chop is a mascot of wine bar that igu created and draw. And there is a big piece on the wall of the bar, where Mr.Chop is working hard.